Collect all the orders and reach 6000 points to complete the level. You have only 8 moves. This level is much hard and crazy and need much focus to complete the requirement. For this level you need to break grill with striped candy that you make while focusing on balancing the Odus owl. 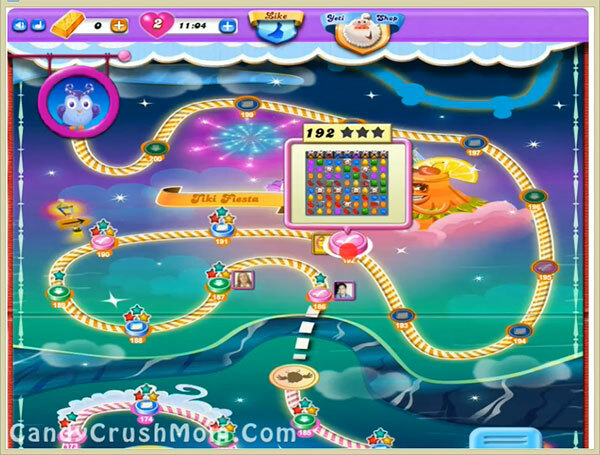 You should wait till moon stuck because if you have good luck it could make few striped candies automatically then you could break with last eight move.